Summary: I am only thankful that I have been allowed to stop short of describing the scenery for you. I am the narrator. I am not here to give you a pre-history or fill in the gaps like many narrators would. 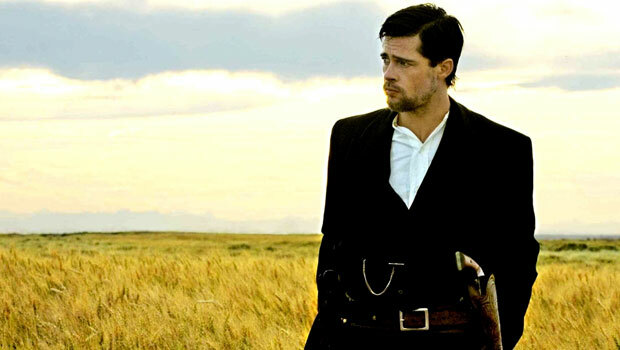 I am the narrator of The Assassination of Jesse James by the Coward Robert Ford and I’m here to tell you exactly what is happening on the screen in front of you. For 160 minutes. I am here at the behest of a director who has made a film at a pace that makes Terence Malick look like Tony Scott, who doesn’t trust his audience with the power of their own vision, and who may be related to the person who decided Ratatouille should be spelled out phonetically on the poster. I have a warm, languid voice and the ability to make a verb out of the word ‘dungeon’. Perhaps I am here because you will most likely have slipped into some sort of waking coma while viewing this film, and the sound of my voice may be the only thing to jolt you out of it. I can tell you that if you can read the title then you don’t need to see it. I will describe to you the very movement of a person’s body and explain a character’s actions and emotions to the extent that you may wonder why they even need to speak. Unfortunately, I am unable to explain why an actor who is playing a 19th century outlaw behaves like he is still playing Tyler Durden. Nor can I explain why Zooey Deschanel is credited as starring, but shows up with ten minutes to go just to perform a fan dance. I can tell you that the only things preventing this film from being truly unbearable are that Robert Ford, the coward, is played by an exceptional Casey Affleck, and the cinematography is quite beautiful. I am only thankful that I have been allowed to stop short of describing the scenery for you.